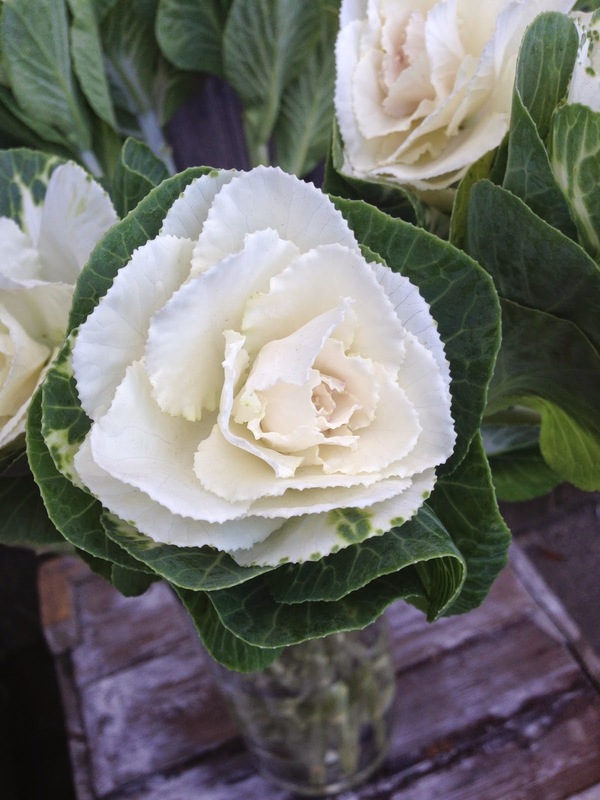 the flower of the week this week is extremely unique ... white kale! 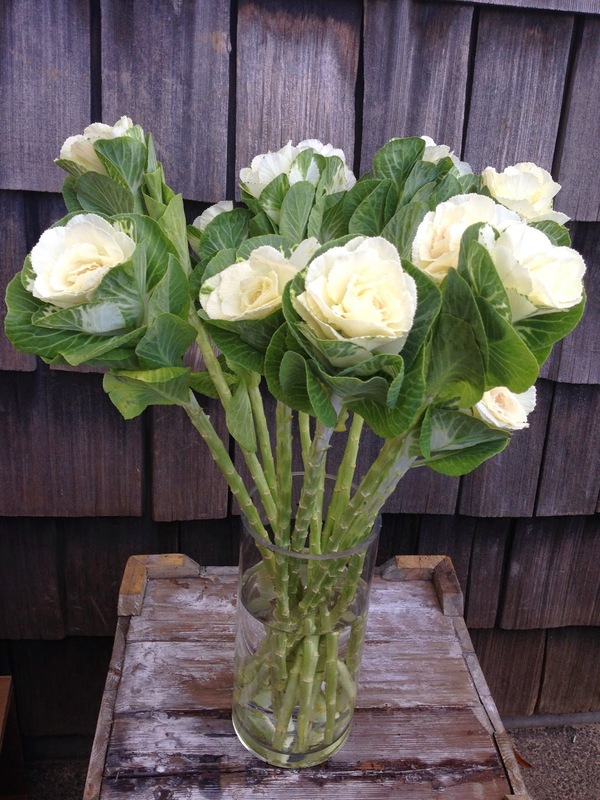 these large, durable blooms have white, leafy petals & green, textured markings on the outside petals. white kale looks beautiful in every arrangement, even bridal bouquets! it grows in lavender, white, rose & a creamy yellow.